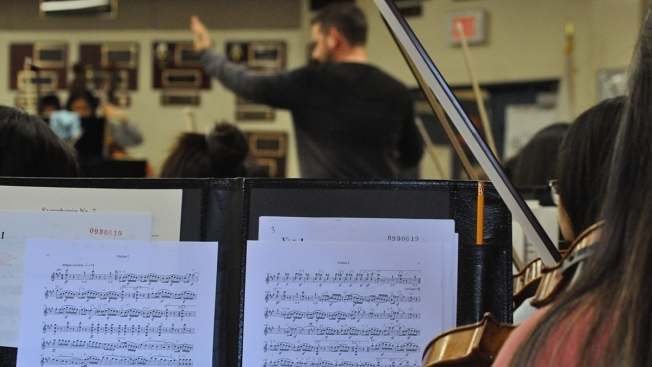 The famous punchline to the joke, “How do you get to Carnegie Hall?” is “Practice, practice practice” - and that’s exactly what the student musicians at Mira Mesa High School are doing to prepare for their upcoming performance at the world-famous music venue. 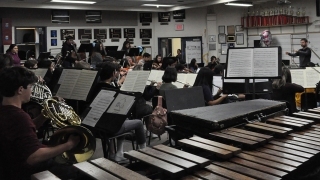 Mira Mesa’s advanced orchestra and band groups, the symphony orchestra and wind ensemble, will perform on April 16 in the New York International Music Festival at Carnegie Hall. Each group that performs in the festival will receive a gold, silver or bronze award based on performance level by an adjudication panel. The festival is presented by World Projects, an organization that produces several music festivals and performance tours around the globe. Through an audition process last school year, Mira Mesa was selected by World Projects as one of the five schools that will perform at the festival. “The thought of going to Carnegie Hall… that’s once in a lifetime, and you don’t want to miss that,” said Douglas Neumeyer, concertmaster, first chair violin of the symphony orchestra. During their five-day trip to New York, the students will be participating in workshops with musical clinicians, performing an outdoor concert and playing at Carnegie Hall for the music festival. This is Mira Mesa’s first time performing at Carnegie Hall, but its second time traveling with World Projects for a music festival. In 2017, the symphony orchestra and wind ensemble went to Washington, D.C. and performed in the Washington D.C. International Music Festival at the John F. Kennedy Center for the Performing Arts. Nguyen said that the performance at the Kennedy Center was special and expects the performance at Carnegie Hall to be unique. “We’re so young. I don’t think a lot of people get the chance to go to Carnegie Hall. I guess you could say it’s like a once in a lifetime opportunity,” said Nguyen. 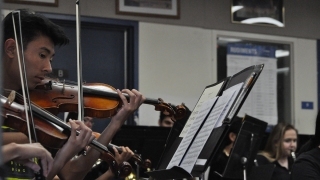 Matthew Mulvaney, who has been the director of the orchestra at Mira Mesa for eight years, said that having both music groups travel at the same time can benefit students who are in both groups. Princess Jereza plays viola in the Symphony Orchestra and tenor saxophone in the Wind Ensemble. Each student is paying around $2,000 to go on the trip. Both ensembles practice daily during their one-hour classes, but they also come after school for their two-hour rehearsals, which happen at least once a week, and even during their spring break. The symphony orchestra will be performing Yasushi Akutagawa’s “Triptyque” and the fourth movement of Beethoven’s Symphony No. 7. The wind ensemble will be performing “Red Rock Mountain” by Rossano Galante, “Instinctive Travels” by Michael Markowski and “Metroplex” by Robert Sheldon. The young musicians leave for New York on April 12 and return April 17. This report was a collaboration between NBC 7 and the SDSU School of Journalism and Media Studies.